Don't live in Alabama? Have another dog fence brand? 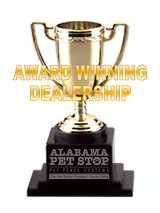 Want Discount Pet Supplies? Check out some of these links! For information on wireless dog fences and the new WiFi Wireless Dog Fence from Perimeter Technologies, visit an informational website with product links at: http://www.WiFiWirelessDogFence.com. 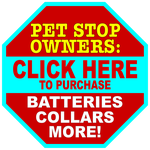 In Massachusetts, Contact Karl Mueller of Pet Stop® Hidden Dog Fence, providing service on all electric pet containment systems since 1992.